The whole is greater than the sum of its parts is a well worn phrase but one that perfectly describes us at Dernier & Hamlyn. Our team is made up of all sorts of people with a range of experience and skills. Led by joint managing directors Jeremy Quantrill and Brian Spiking, who between them have worked in the lighting industry for over 60 years, we are extremely proud of the many different talents possessed by our design and production schemes that enable us to produce a variety of products, all at the very highest quality. Together we overcome lighting challenges by hard work, imagination and a century of know-how. We train our craftsmen over many years, primarily by enabling them to work alongside the more experienced members of the team who carry over their capabilities to the next generation. 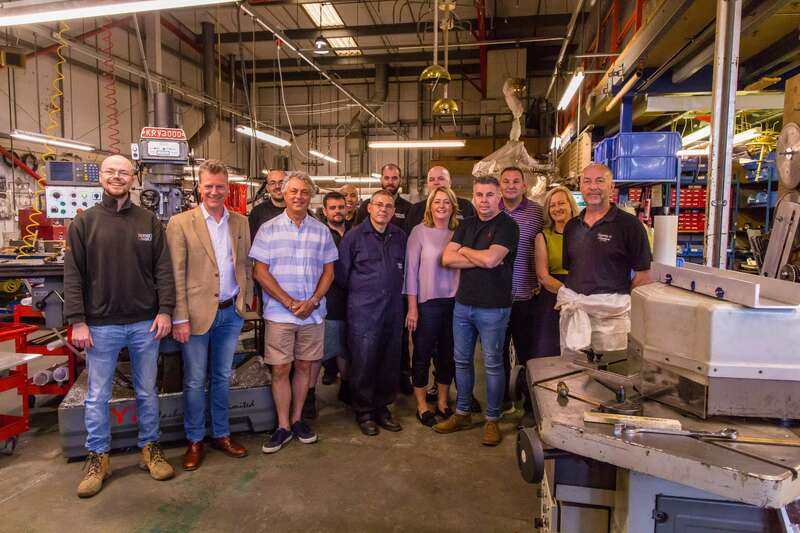 Throughout all of the projects we work on, we have an open house approach so that our clients can come to the factory and see their fittings being made. It is important to us to demonstrate that we make everything ourselves and do not, like many lighting companies, simply assemble products purchased from afar and is a very important aspect of what makes us unique.